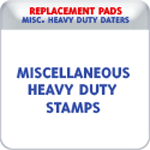 Indiana Stamp sells Replacement Pads for Shiny, IDeal, Comet, Justrite, Eagle Zephyr, and Lion Brand Automatic numberers. 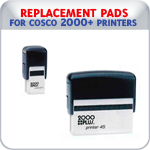 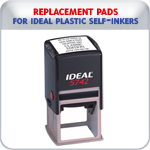 We sell replacement ink pads for several types of self-inking stamps. 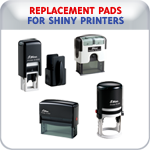 Shiny, Ideal, Comet, Eagle-Zephyr, and Lion Brand Automatic numberers. 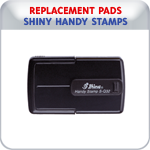 If you do not see what you are looking for, please email us or call us at 877-424-5395. 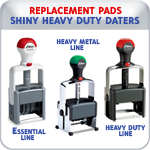 We'll be happy to help you!